Lymphatic massage, also called lymphatic drainage or manual lymph drainage, is a technique developed in Germany for the treatment of lymphedema, an accumulation of fluid that can sometimes occur after lymph nodes are removed or cause chronic health issues affecting the lymph nodes. Up to 25 percent of breast cancer patients whose surgery includes removal of lymph nodes in the area of the armpit eventually develop lymphedema. The condition can also occur in the legs or other parts of the body if lymph nodes are removed or are inactive. Symptoms of lymphedema include swelling and pain near the site of the removed or damaged lymph nodes. Lymphedema can occur immediately after radiation therapy or surgery, or weeks, months, and even years later. What Happens During A Lymphatic Drainage Massage? 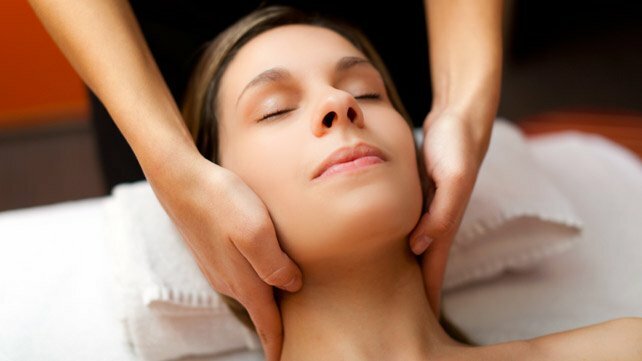 A lymphatic massage session starts with a light massage on the surface of the skin of the neck. The therapist gently rubs, strokes, taps or pushes the skin in directions that follow the structure of the lymphatic system so that accumulated lymph fluid can drain through proper channels. Lymphatic drainage is very gentle, is not painful and doesn’t have a stimulating effect. Each session lasts from 45 to 60 minutes; a massage session is recommended to help aid fluid removal. For this reason, it is essential to drink plenty of water to aid excess fluid removal from the body. Lymphatic drainage massage therapy is usually performed once a day four or five times a week for two to four weeks. One study showed that the greatest reduction in swelling from lymphedema occurs in the first week of treatment and stabilizes during the second week. Consistent lymphatic drainage and massage therapy upkeep are required with massage therapy intervals becoming further apart. When Should Lymphatic Drainage Massage Therapy Be Avoided? In some instances lymphatic massage should be avoided. For instance, an injury that won't heal requires release from a Dr. before lymphatic drainage massage can be effective. A sudden, marked increase in swelling also warrants a trip to the Dr. before proceeding with lymphatic massage. It's important to speak with your Dr. before requesting lymphatic drainage massage therapy to ensure that the treatments provided at Massage By Debbe are safe for your personal health issues. What Should I Do After My Lymphatic Drainage Massage Therapy? After your massage, drink plenty of water to remain hydrated and flush out the toxins released by your treatment. For maximum benefits walk or stretch gently, avoiding any strenuous activities for the rest of the day. In cases of severe lymphedema multiple treatments may be required. Whether you are recovering from a specific injury, suffering from chronic muscle pain or looking for a holistic approach to lowering your blood pressure, a massage with Debbe, at Massage By Debbe, in Port Saint Lucie maybe just the intervention you need.